NTK is the world's largest supplier and manufacturer of original equipment oxygen sensors. Combining expertise with innovation, NTK Oxygen Sensors offer superior fit, form and function. Did you know replacing worn or failed oxygen sensors is the best way to protect expensive three-way catalysts or catalytic converters? 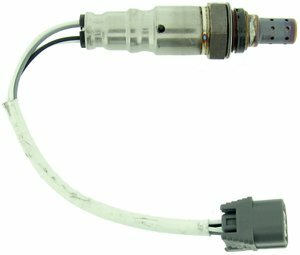 Failure to replace failed oxygen sensors at the earliest sign of a problem, usually indicated by an illuminated check engine light, can cause premature failure of expensive three-way catalysts or catalytic converters. Ignoring that check engine light is the worst thing you can do for your three-way catalyst(s). Replacing a failed oxygen sensor at the earliest sign of trouble may save future headaches and higher repair bills.